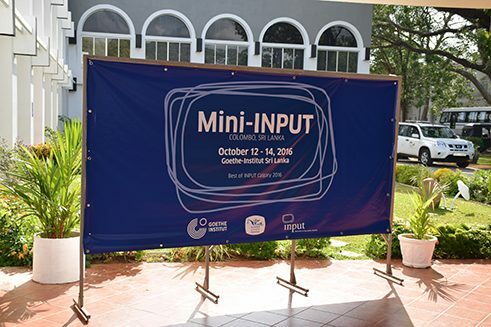 In recognition that many TV professionals do not have the opportunity to participate in each year’s INPUT, so-called Mini-INPUTs, smaller conferences that screen selected INPUT TV-productions, are annually organized in over 30 countries worldwide. 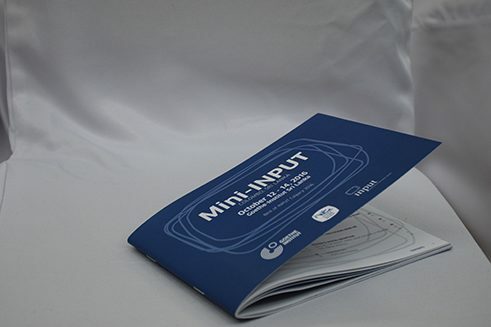 These Mini-conferences allow a greater number of professionals and interested persons to access and discuss TV-productions shown at the main edition. 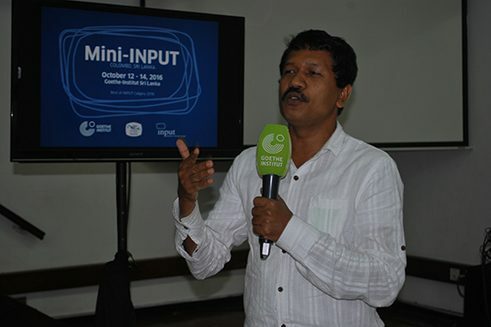 In cooperation with the Rupavahini (TV) Corporation, the National TV Broadcaster shaping the landscape of public television in Sri Lanka, the Goethe-Institut has supported the participation of Athula Disanayaka at the INPUT Calgary 2016. Together with two moderators of INPUT Calgary, Panagiotis Trakaliaridis from the German broadcaster ZDF and Nowell Cuanang from GMA Network, Philippines, as well as Veronika Mendler from the TV department of the Goethe-Institut headquarters in Munich, he has chosen and presented a program for the first Mini-INPUT in Sri Lanka, presented to a professional audience from October 12-14, 2016. The venue was the Sri Lanka Foundation, an educational institution established in the 1970s with support from the German Friedrich Ebert Foundation. 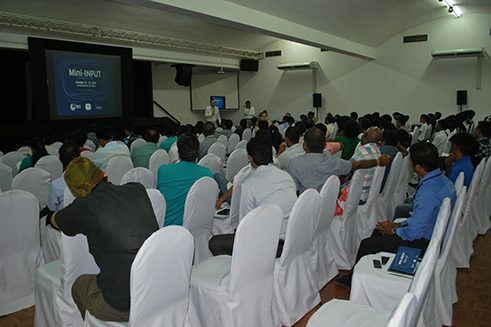 Representatives from the Rupavahini TV and other television institutions as well as television freelancers and students were invited to the screenings of 13 INPUT production highlights from 9 countries. Hence, 120 television professionals, directors and producers vividly discussed the productions in 10 sessions. A broad range of topics were enthusiastically brought up, new horizons for productions opened, ideas and news exchanged. 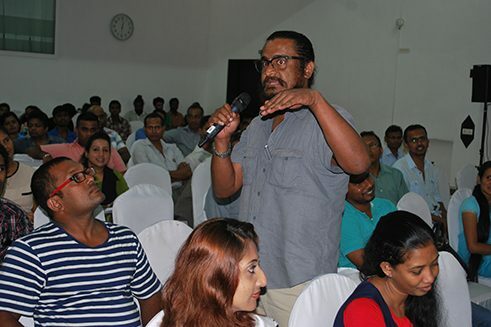 To further and develop Sri Lankan media and broadcasting culture through an insight in international TV-programs was an expectation that was certainly, even successfully met.